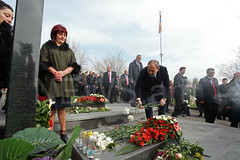 On the morning of 20 March, Premier Nikol Pashinyan phoned Mayor of Gyumri Samvel Balasanyan. 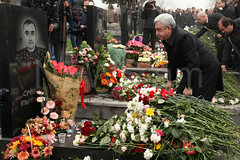 This is what Samvel Balasanyan told journalists on 20 March. “He called me in the morning. I told him everything and added that I’ll give a press conference,” he said. During the March 19 press conference of Armenia’s Premier Nikol Pashinyan, a journalist asked about the activities of the street construction and homelessness in Gyumri, in response to which the Premier promised to contact the mayor of Gyumri. 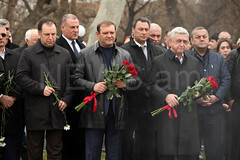 Samvel Balasanyan stated that he had presented the situation to the Premier. According to him, electric and communication wires passing through different sectors of the city hinder street construction, and this often causes problems for builders. According to the mayor, during this period, the city has done everything possible to reduce the number of problems with the water disposal system and communication-related problems. The 34 selected streets will be capitally renovated, but in order to make sure construction doesn’t cause any trouble for citizens, this time the sidewalks will be destroyed first, not the streets. “We have no problems. We have funding, the construction plans, builders and time limits. All the construction firms have already launched their activities. This is a three-year project, and there will be nearly 11,500 traffic lights in the city following renovation of the streets,” Balasanyan said. Talking about the homelessness committee, the mayor stated that the committee would present information to the Premier on 30 June, but added that Gyumri Municipality already has its information.